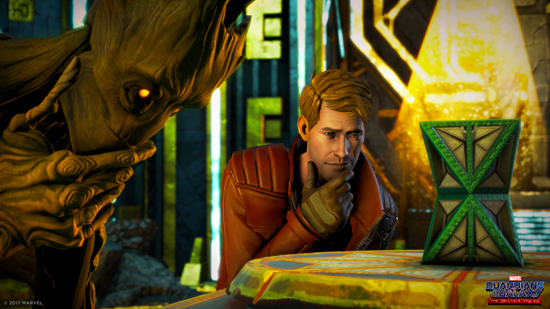 The launch trailer for the third of five Marvel's Guardians of the Galaxy: The Telltale Series episodes. Episode three, entitled 'More Than a Feeling,' will be available starting August 22, 2017 for $4.99 USD or equivalent. 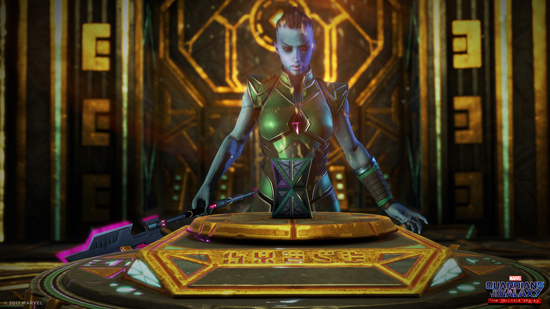 Individual episodes, and the series as a whole, can be downloaded on PlayStation 4, Xbox One, Windows PC, and Mac, as well as the App Store and Google Play. The series is also available as a special 'Season Pass Disc' at retailers across North America for an MSRP of $29.99 USD, and at retailers elsewhere across the globe. The special 'Season Pass Disc' includes episode one, 'Tangled Up in Blue,' and grants access to download the subsequent four episodes via online updates as they are released. Additional platforms for release are yet to be announced. Episode description: After tracing the origin of the Eternity Forge to a mysterious temple, the Guardians encounter an eccentric being who might hold the key to unlocking the relic's true power. 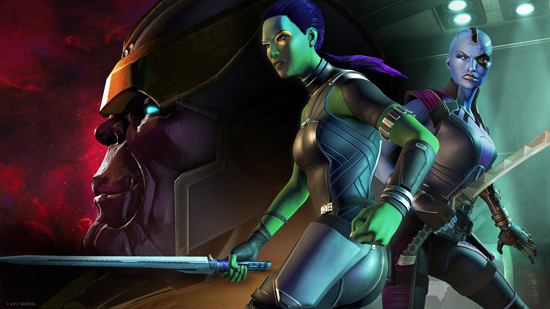 But with Gamora and Nebula busy wrestling with the past and Hala still bent on reclaiming the Forge by any means necessary, it falls to Star-Lord to make a crucial decision that could change the fate of the galaxy -- and the Guardians -- forever. 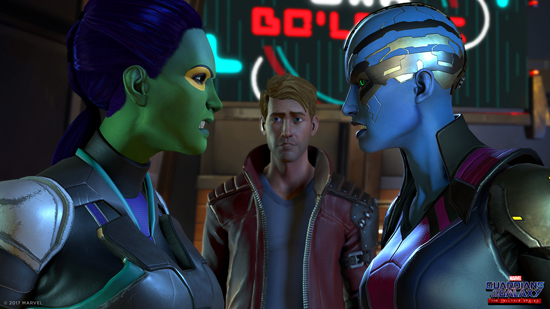 The series will feature a star-studded cast of voice talent, including Scott Porter (Friday Night Lights, The Walking Dead: The Telltale Series) as Star-Lord, Emily O'Brien (The Young and the Restless, Middle Earth: Shadow of Mordor) as Gamora, Nolan North (the Uncharted series, Pretty Little Liars) as Rocket, Brandon Paul Eells (Watch Dogs) as Drax, and Adam Harrington (The Wolf Among Us, League of Legends) as Groot.